RENTON, Wash. (KCPQ) -- Renton Police are asking for your help to identify this thief who stole the entire scratch lottery ticket dispenser at a gas station in the Renton Highlands area. 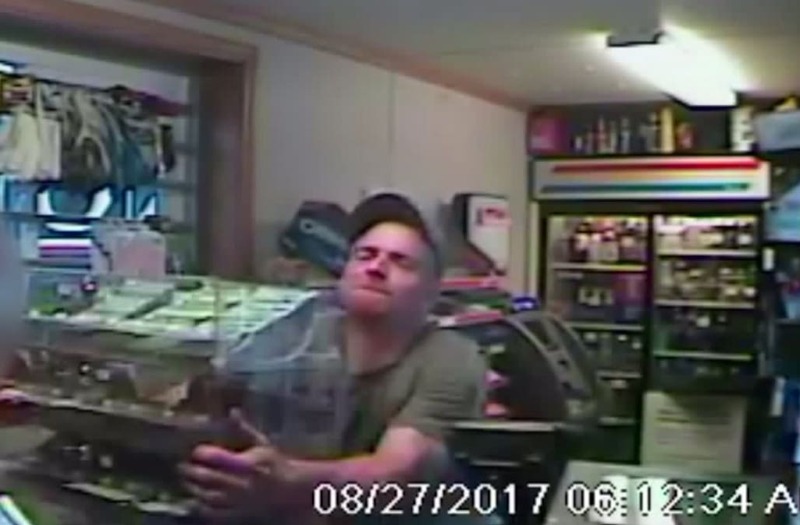 Watch the video above as a thief enters a gas station and quickly steals the entire dispenser before running out to his getaway car and taking off. The clerk goes to chase him with his bat, but the thief is too fast. Renton, Washington, police are asking for the public's help in identifying the man seen here who stole an entire scratch lottery ticket dispenser from a gas station. "Well, it was about $2,300 worth of lottery tickets and we don't know that at least some of those tickets have been cashed at other locations in Renton," said Commander Dave Leibman with the Renton Police Department. "Clearly this was planned well in advance. They parked directly in front of the ramp that led up to the front area of the gas station. The man walked in and immediately went to that ticket dispenser, ripped it off and high-tailed it. He knew exactly what he was doing." "We know who the registered owner is and we checked registered owner's information and compared it to the video that we have and it's not the same person so right now, we don't know who that suspect is and that's what we're hoping that your viewers can help us with today." The suspect is described as white, with a light brown or dark blonde goatee and mustache, wearing an olive-colored shirt and Under Armour baseball cap. He was a passenger in a white getaway vehicle. Crime Stoppers is offering a cash reward of up to $1,000 if you know his name or have any information on where officers can find him. Call 1-800-222-TIPS (8477) or use the P3 Tips App on your phone. You must submit the tip to Crime Stoppers to be eligible for the cash reward.